Thanks for the great pictures, Jade! 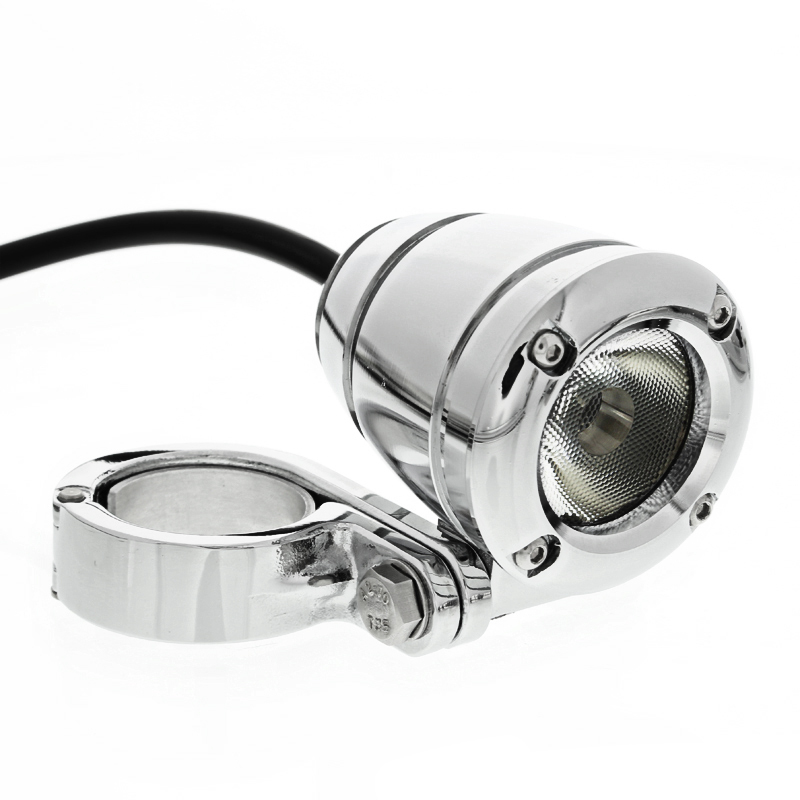 Durable forward projecting heavy duty LED work lights. 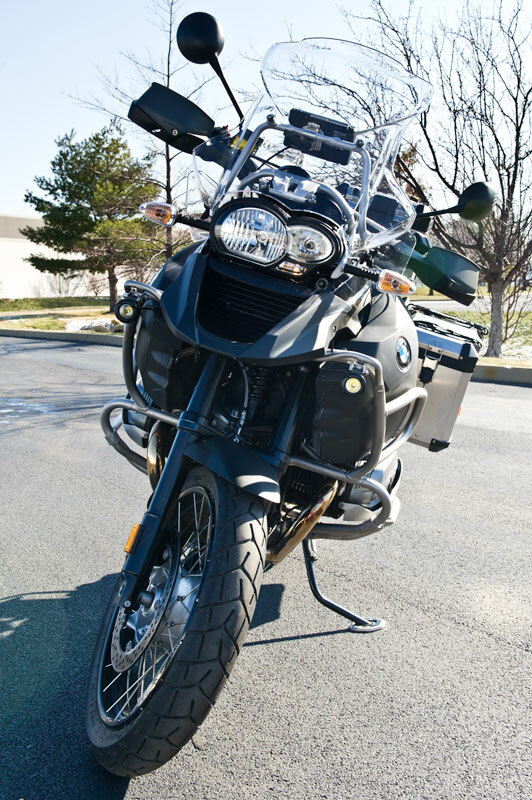 Variety of light bars, spot, and flood lights. Rated for operation in the harshest of environments. 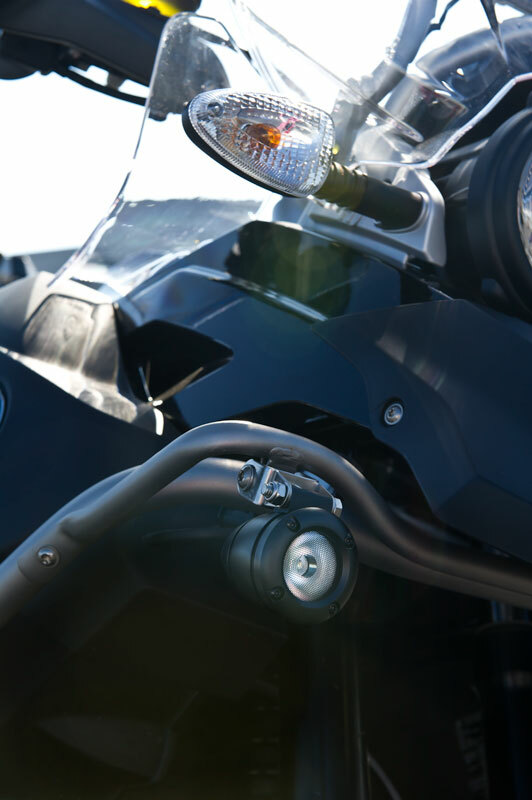 Adjustable mounting for easy installation. 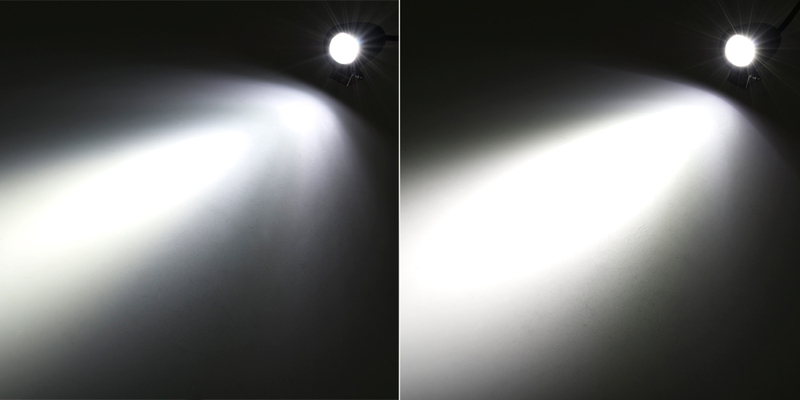 Round 10 Watt LED Mini Auxiliary Work Light. 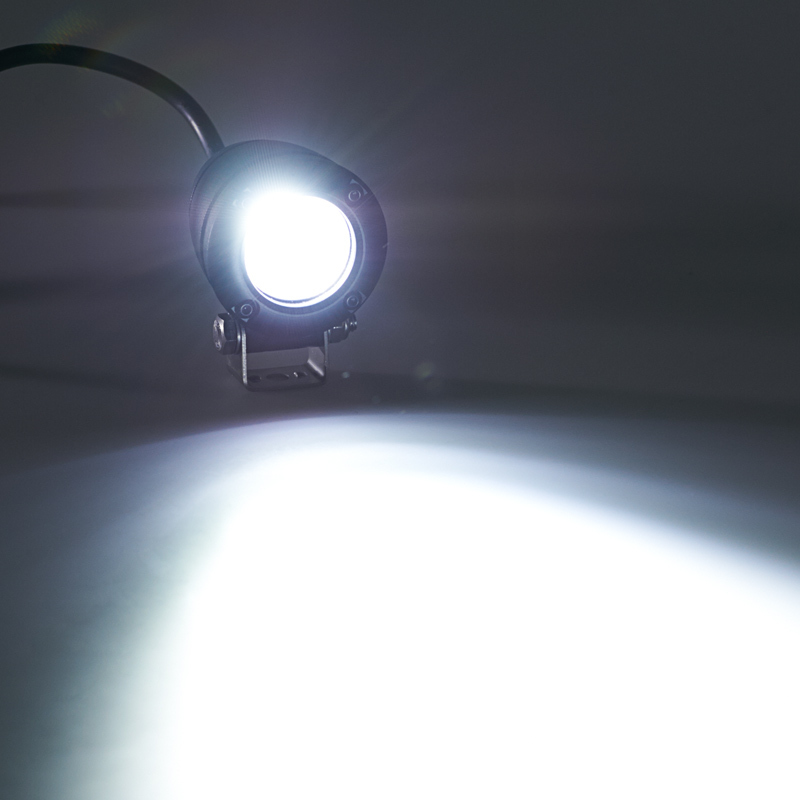 1 x 10 Watt CREE XM-L LED. 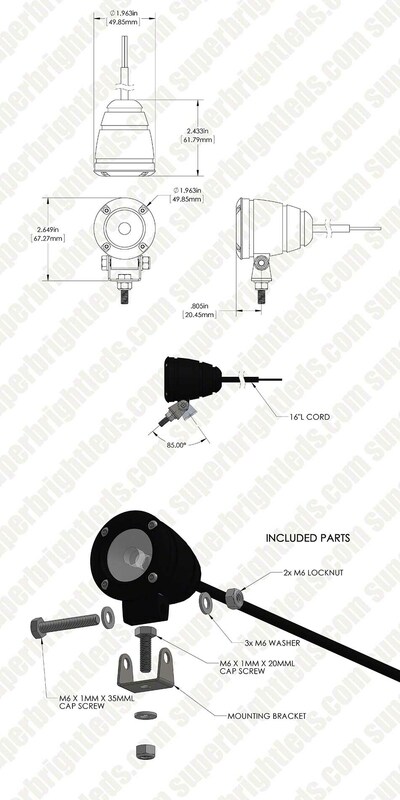 10~30VDC operating voltage range, IP68 waterproof light. 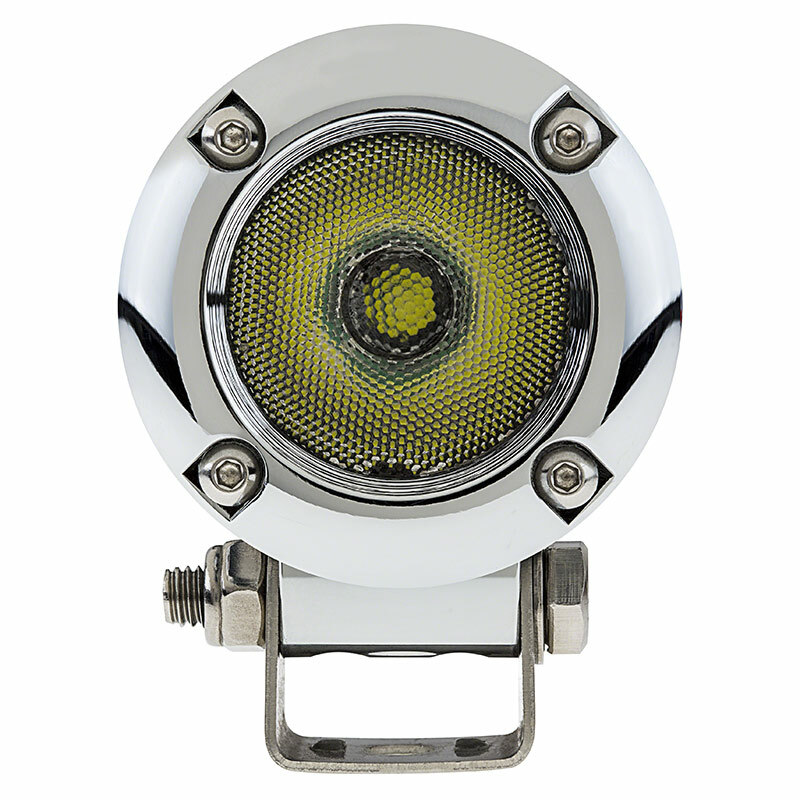 Chrome plated or black painted aluminum housing with PMMA lens. Available with narrow spot 25 degree or medium flood 45 degree beam pattern. 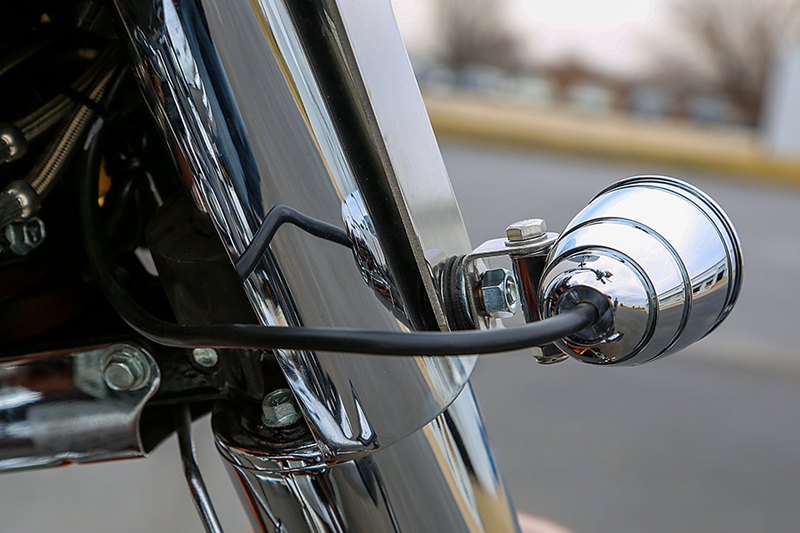 Includes adjustable stainless steel mounting bracket. 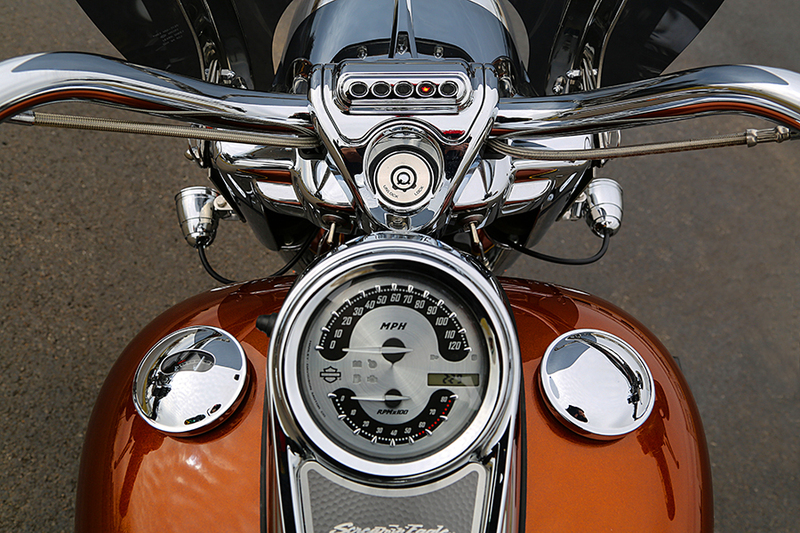 Great for Harley Davidson driving lights, motorcycle daytime running lamps, and vehicle auxiliary lamps. 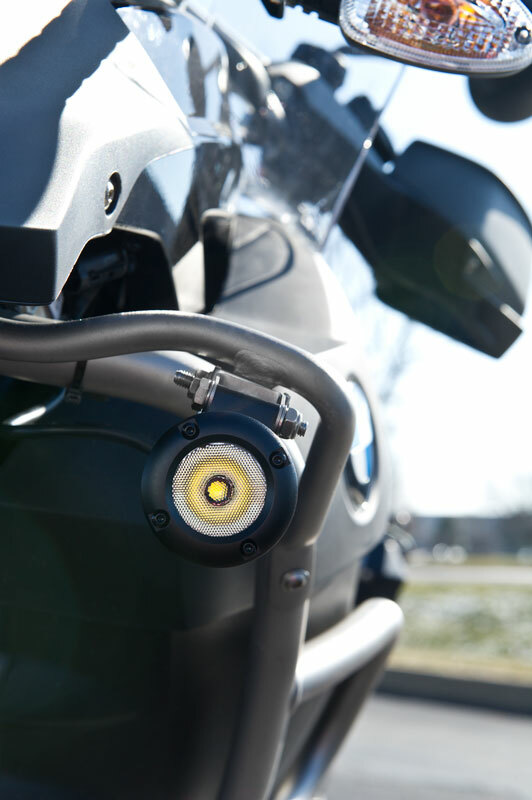 Round 7 Watt Mini Auxiliary LED Light Pod. 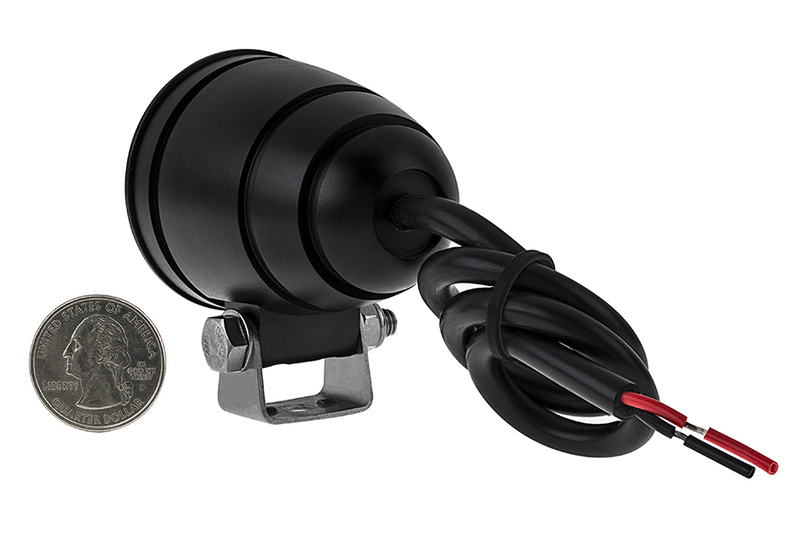 10-30 VDC operating voltage range, IP68 Waterproof light. 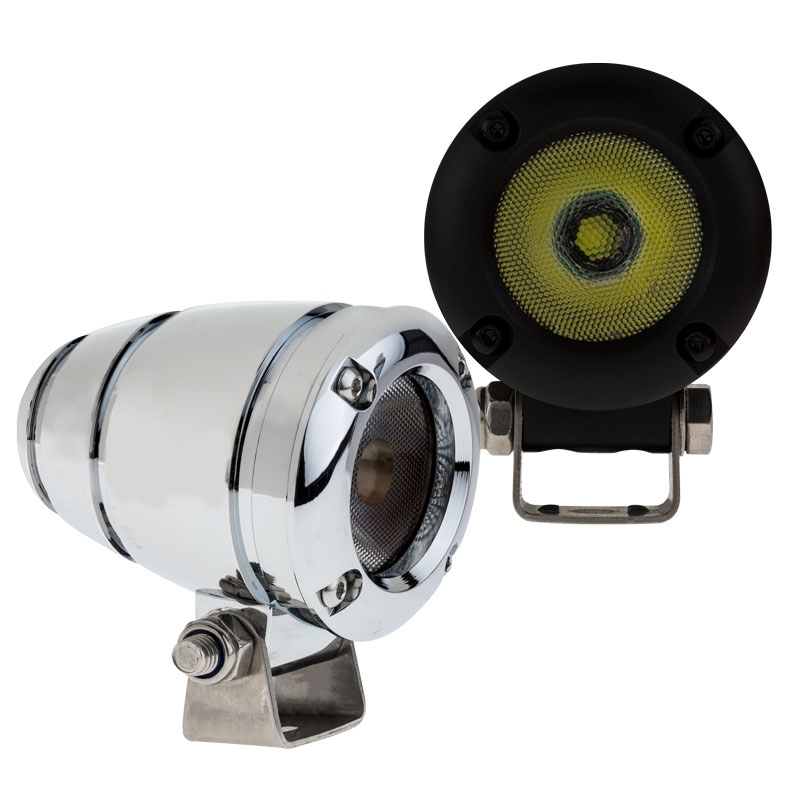 Black or chrome-plated aluminum housing with PMMA lens. 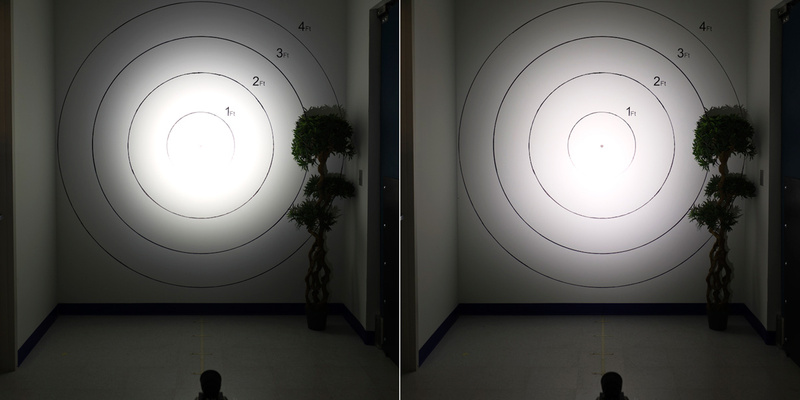 Select a 25 or 45 degree beam pattern. 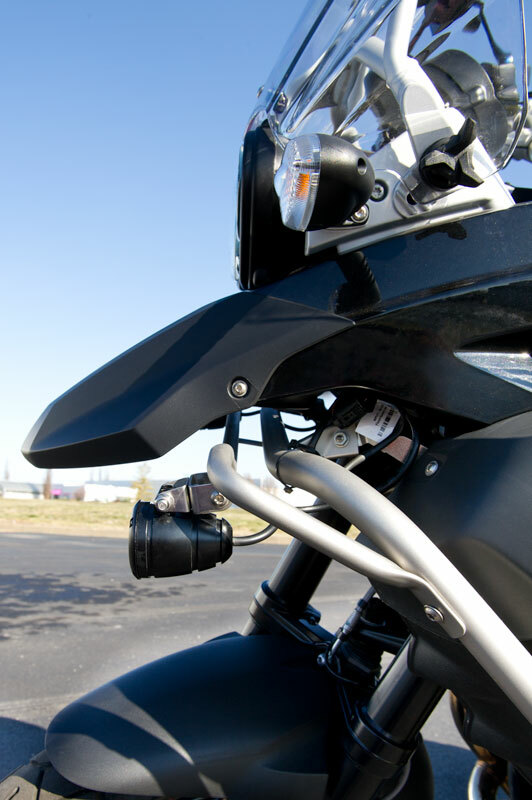 Includes adjustable metal mounting bracket. 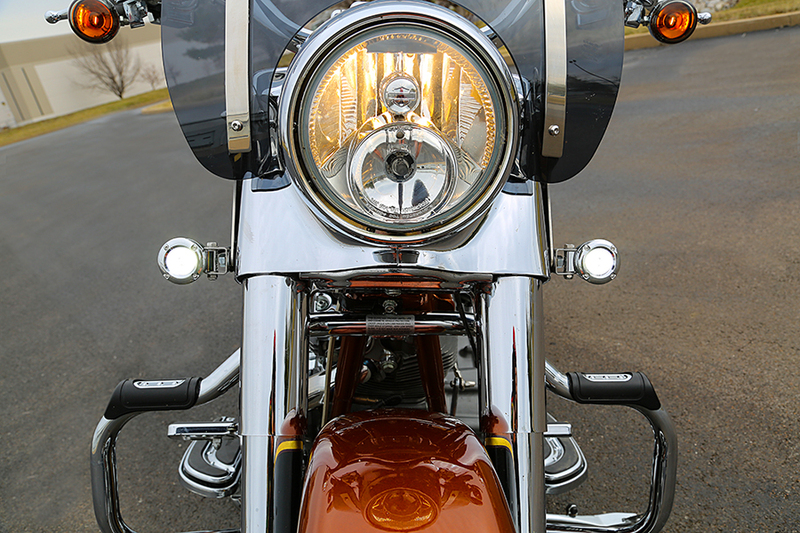 Great for Harley Davidson driving lights, motorcycle daytime running lamps, and vehicle auxiliary lamps. 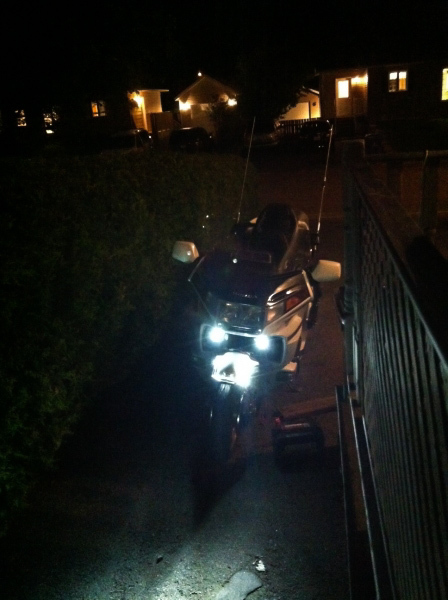 I have installed 2 or those super light in front of my GL1500 pointing in front of the bike lighting the whole front end, it does a super job, they are small, hidden under the front head light with a simple braket easy to install. 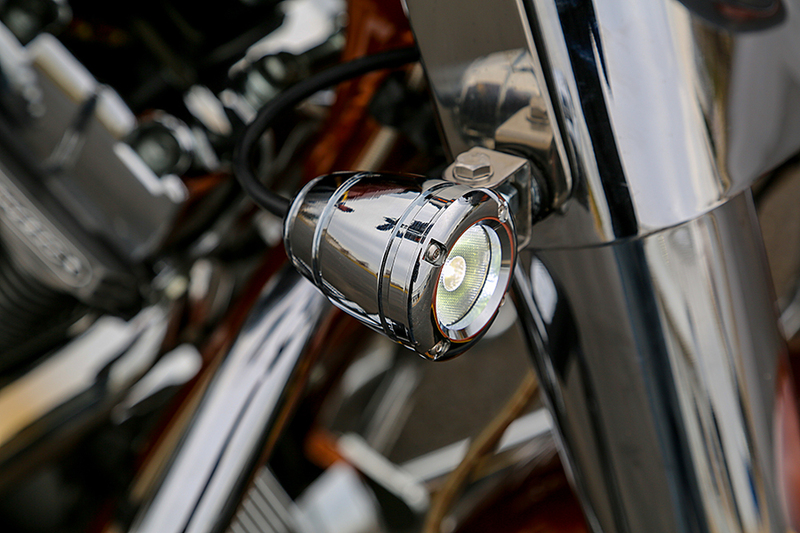 Plus the chrome finish is great very high quality light. 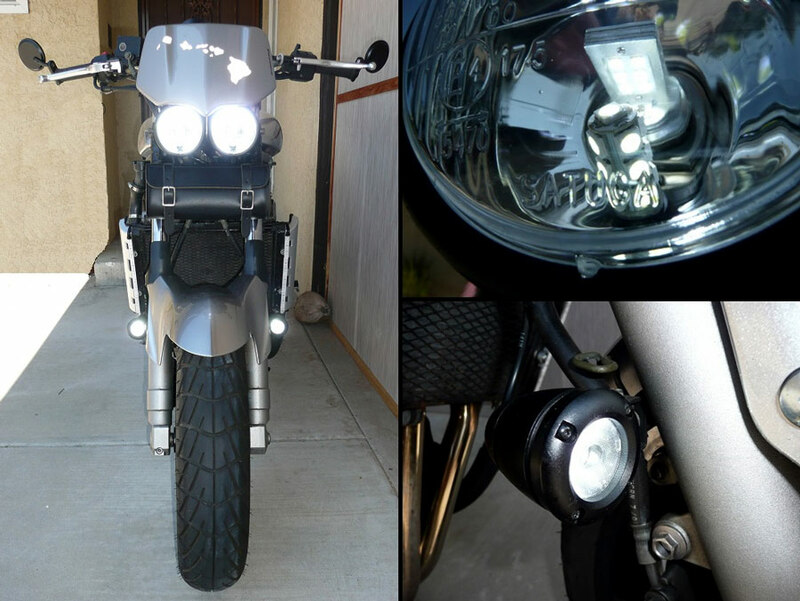 I just mounted a black set of these on my black Kawasaki Concours 1400. I attached them to the fender struts. 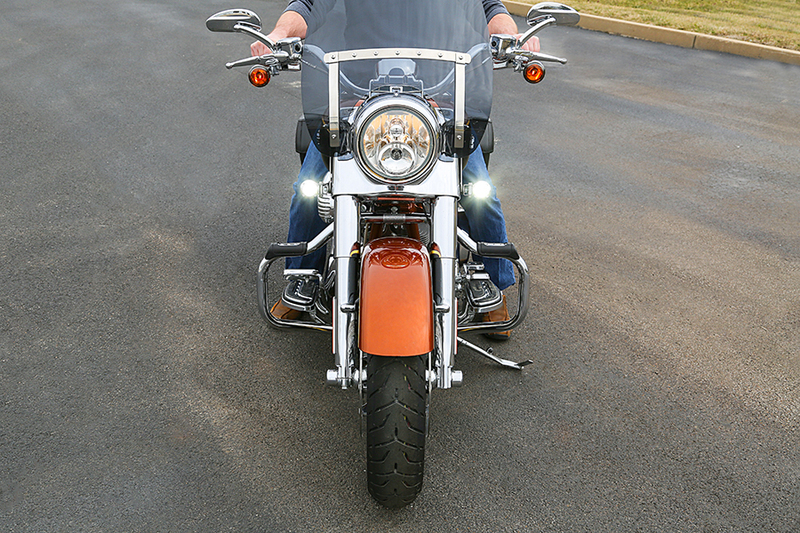 They compliment the black of the bike nicely and are very bright. They appear to be well made. 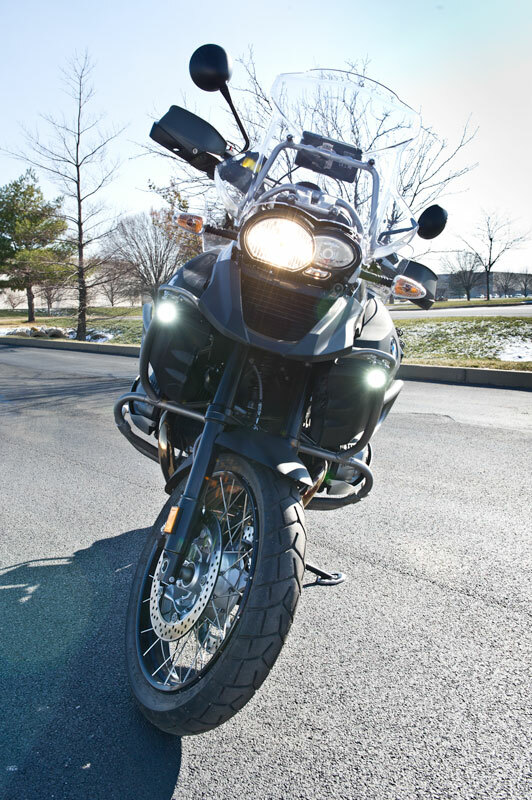 I had a similar set of LED lights on my previous bike and fellow riders commented that they were impressive and could always see me very well in sunlight. I recommend them. I bought the black body with 25 degree light pattern. The two reason I wanted to add them was first to be seen better when driving through city taffic and secondly to see the road better when out on dark roads. These lights are great ! 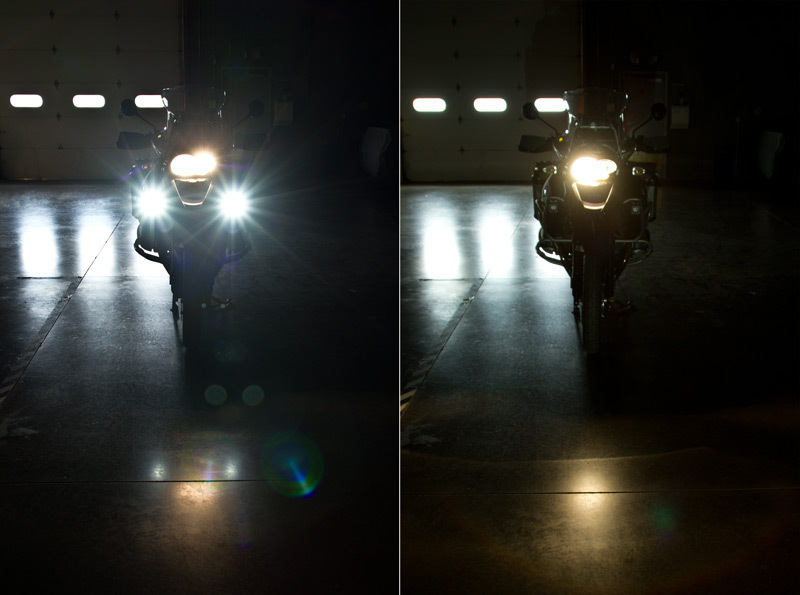 I wasn't quit sure which light pattern (25 or 45 degree) to go with and searched the web for some help but didn't really find the answer I wanted. I pulled the trigger and went with the 25 degree light pattern. Glad I did. The pattern is concentrated just right. 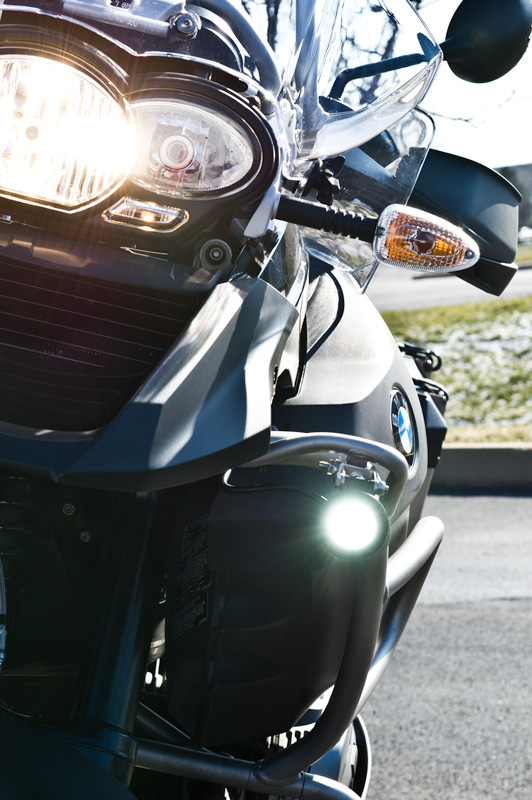 If you want to use these as daytime driving light look no more, they are very intense and draw very little power and can be spotted a mile away! 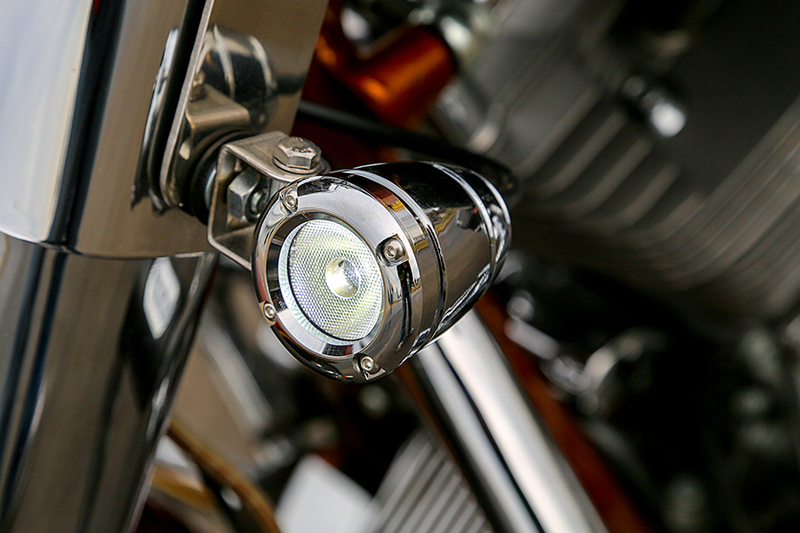 they are quality made and supplied with stainless hardware, i highly recommend these to anyone that wants to add extra lighting to their ride. Using them on my Jeep as rock lights. Because of the heat here in Phoenix night wheeling is a big deal. 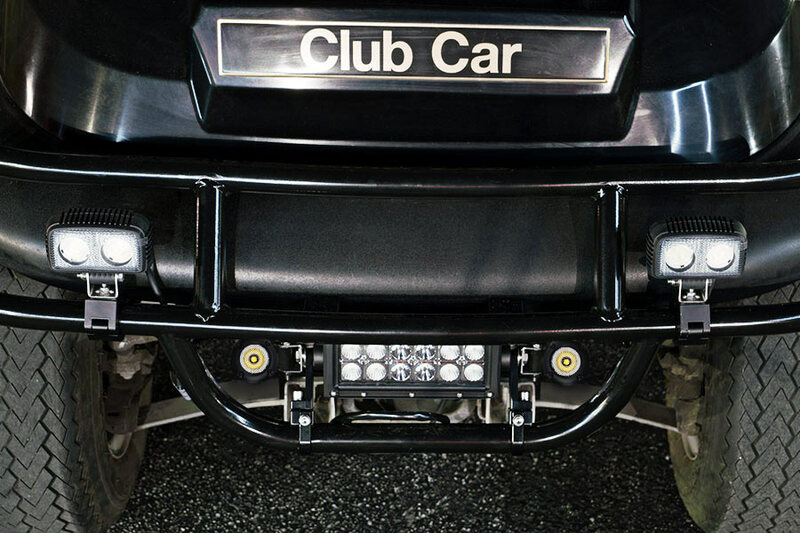 These lights are small, sturdy, low draw and throw off just enough light (too much light like HIDs or LED light bars will blind the other drivers). I can leave them on all night even with the engine turned off and don't have to worry about draining the battery.